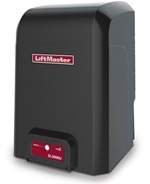 We are proud to feature LiftMaster Products. Their quality and integrity are legendary in this industry. ASAP Garage Door and Gate Company are well schooled in the installation and maintenance of all of these products. As a value added reseller for LiftMaster, you can be assured that your safety is taken very seriously and we’ll stand by every one of these products and their installation. LiftMaster® residential and commercial garage door openers offer a broad selection in performance, features, and durability – more so than any other opener brand. We put control in the hands of residents and property managers with the most advanced, vandal-resistant offering of telephone entry systems, keypads and more. Simply put, an electric garage door opener is a piece of equipment used to open and close a garage door. Most models are remote controlled. Garage door openers are simple but extremely useful conveniences that have become taken for granted in today’s busy world. The first commercial electric garage door opener consisted of a radio transmitter, a receiver and an actuator to open and close the door. To function, the receiver would detect a change in the amplitude from the transmitter and then trigger the opening or closing of the door. There was a serious security problem with these models, however, since any door could be opened by anyone with a transmitter. Sometimes people would be startled to find themselves accidentally opening neighboring garage doors instead of their own — no doubt surprising their neighbors as well. To correct this problem, newer models employed specific frequencies, using dip switches to create a total of 256 code combinations to prevent accidental activation by neighboring garage door openers. However, these models were still vulnerable to deliberate security violations. Fortunately, today’s garage door openers use rolling frequency or hopping code technology to provide excellent protection against accidents and security interference. These modern models employ a “look ahead” frequency, in which a new frequency is activated each time the door is opened. The remote controls for garage door openers usually operate up to a distance of 150 feet. The remote can also be programmed to switch on the light of the garage. Most garage door openers also include a keypad which can be installed outside the garage. This can be used to open the garage if the remote is unavailable or the batteries have run down. Most garage door openers also have an emergency release so that the door can be opened manually in case of power failures. Some garage door models feature an auto reverse component that activates when the door is obstructed (by a child or a pet, for instance). The mechanical components of garage door openers are fairly simple. Three basic kinds of openers are available, utilizing one of the following: a chain drive, a screw drive or a belt drive. Chain drives tend to be rather noisy, as they engage a metal chain and a metal trolley. These are economical, however, averaging about $130. A screw drive opener operates with of a threaded lead screw. The newer models use plastic lined tracks to reduce noise and increase the speed of opening. Screw drive openers start at about $150. Garage door openers with belt drives are the quietest and the most expensive, with prices starting in the $170 range. People sometimes believe, mistakenly, that garage door openers do the lifting of overhead garage doors. In fact, a garage door simply triggers the process, while the actual lifting is done by the attached springs. There are two types of spring systems — linear expansion springs and torsional springs. All garage door openers are either a jackshaft type or a trolley type. The jackshaft type occupies less space in the garage. The trolley type consists of a trolley attached to the door and also to the motor. This type occupies some space in the ceiling, but is popular because it is safer than the jackshaft type. Jackshaft models often fail to discern when something — or someone — is caught under a closing door. There are two types of motors available for garage door openers, run either by AC and DC power. While AC is used most often, DC has several advantages to consider. For instance, DC-powered openers use less electricity, the opening speed is more easily controls, and they make less noise than AC models.